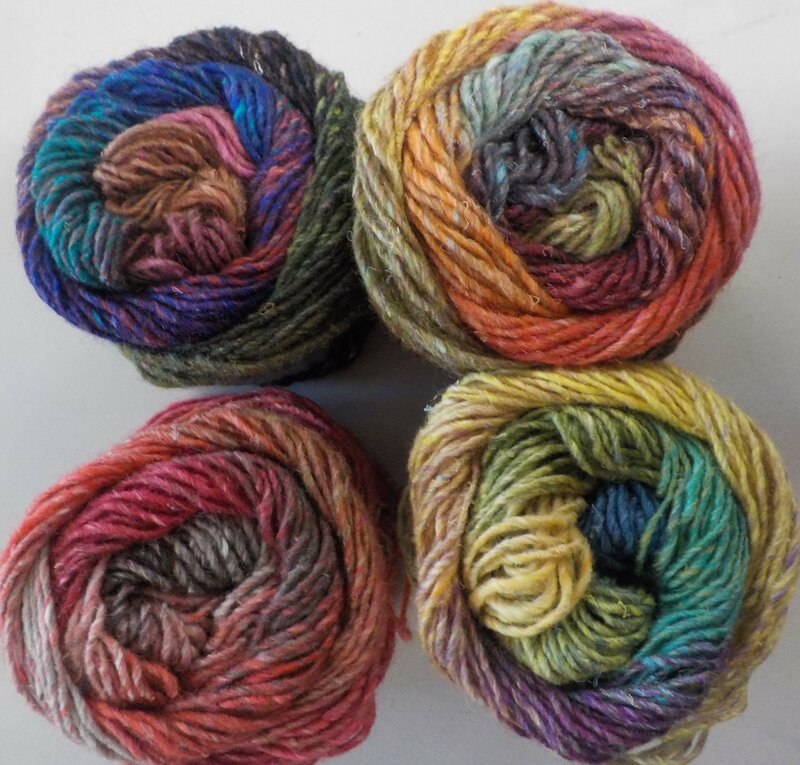 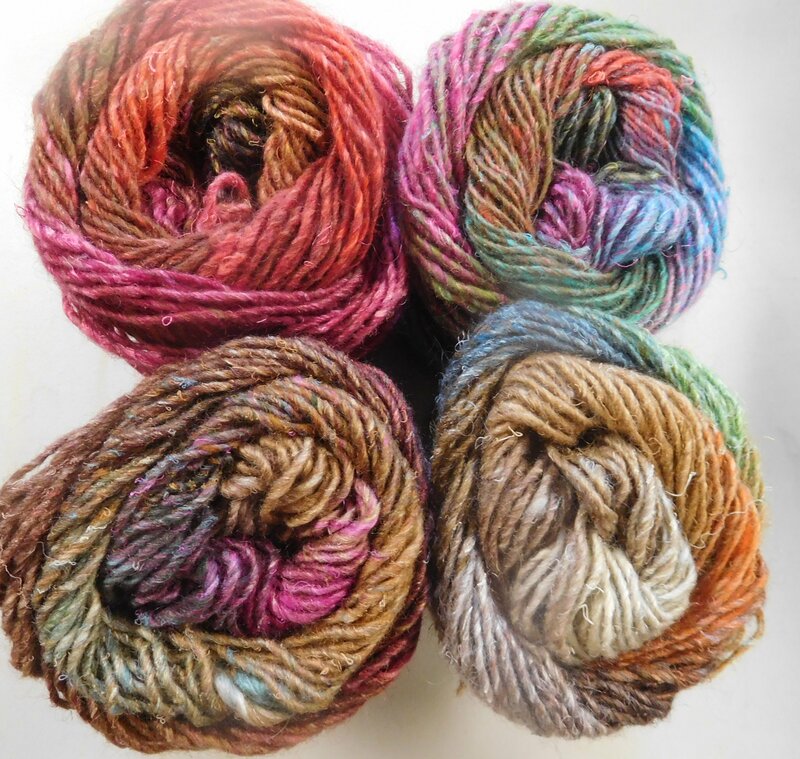 Silk Garden by Noro -now including the Silk Garden Solos! 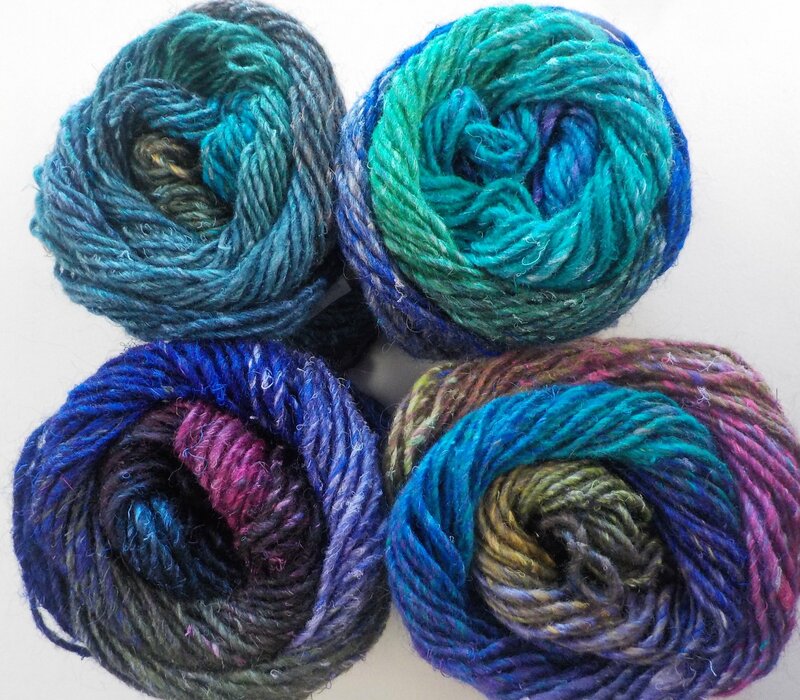 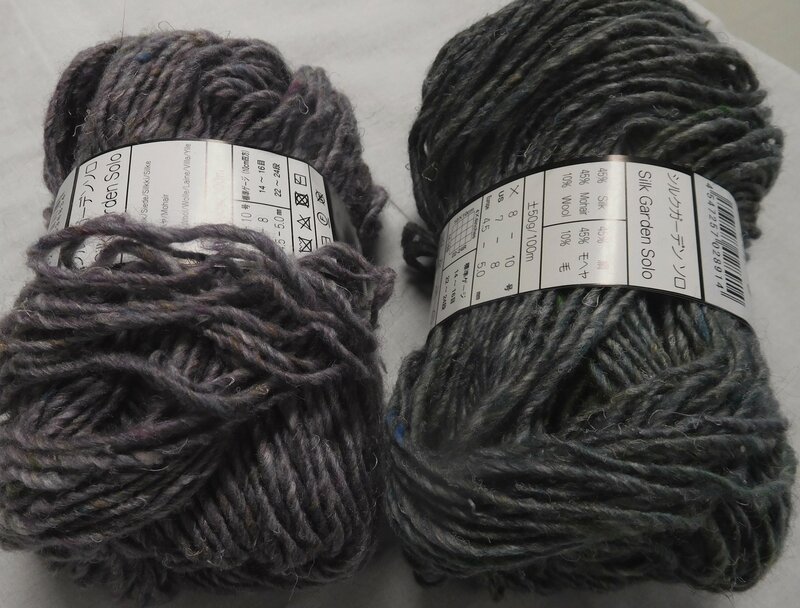 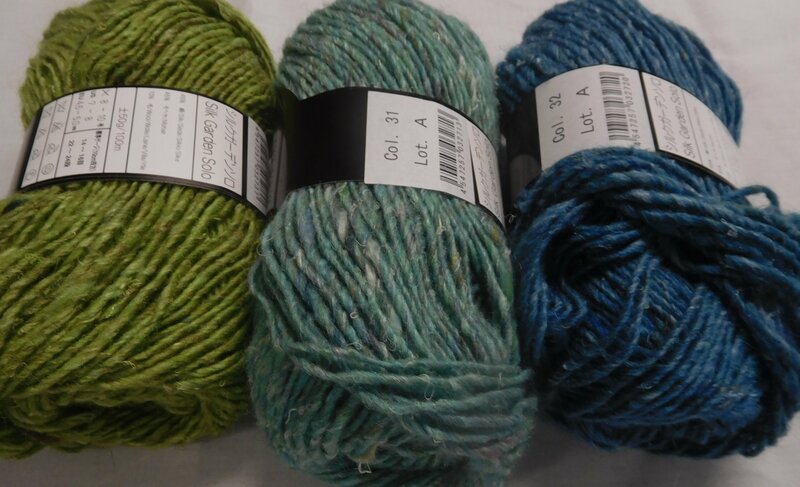 For those of you who know Noro yarns to be "scratchy", you might want to try them again. Over the past 5-6 years Noro has been using more merino in his yarns and perhaps even finer micron mohair in an effort to soften his yarns and overcome that criticism some knitters had of his line. 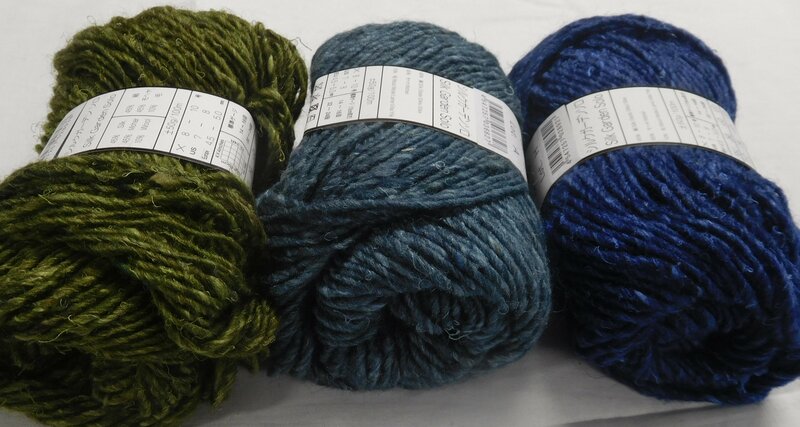 So the new Kureyon, Silk Garden and now the Ito (new for fall 18) are much softer than Noro used to be. 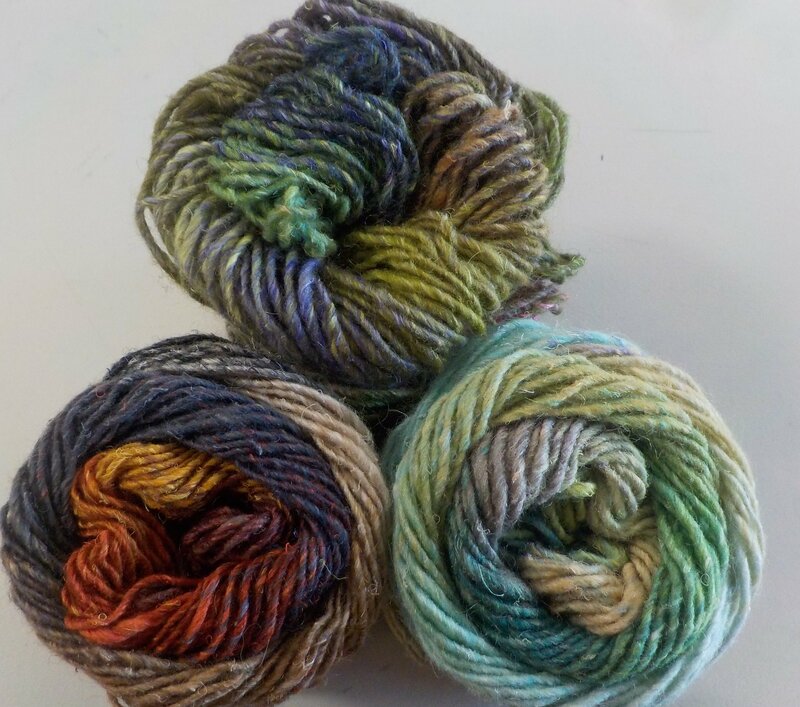 And the colors are pleasing. 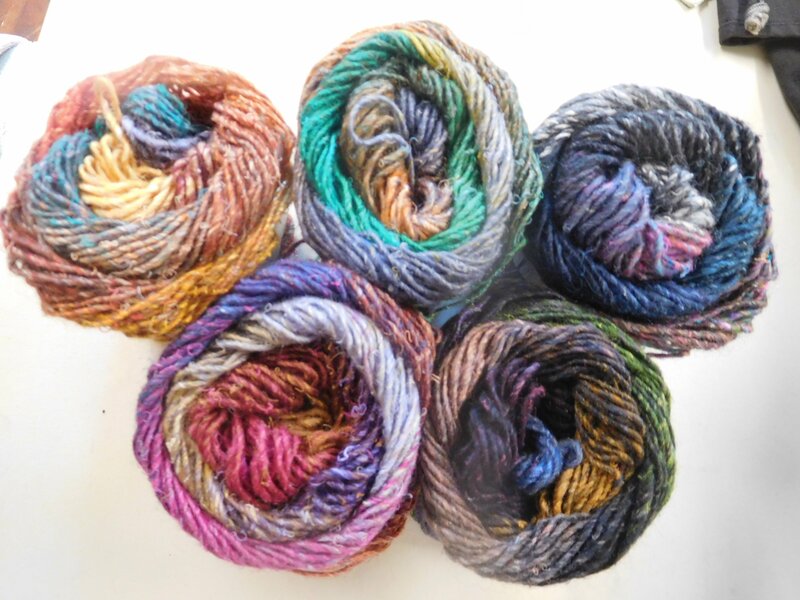 Now that he is offering Silk Garden in solid colors (the "solos") to pair with the original and colorful Silk Garden - or to use on their own - you have lots of lovely jewel tones to complement the lovely colorful line he is known for. 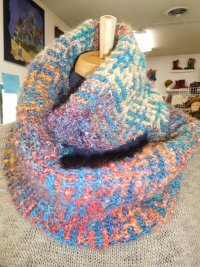 The short mosaic cowl shown below used 1 skein of a grey solid and 1 skein of a variegated in blues and greens to show how two colors that are close in value and hue work up together. The bolder mosaic cowl shown below shows how to "contrasts" will knit up together. 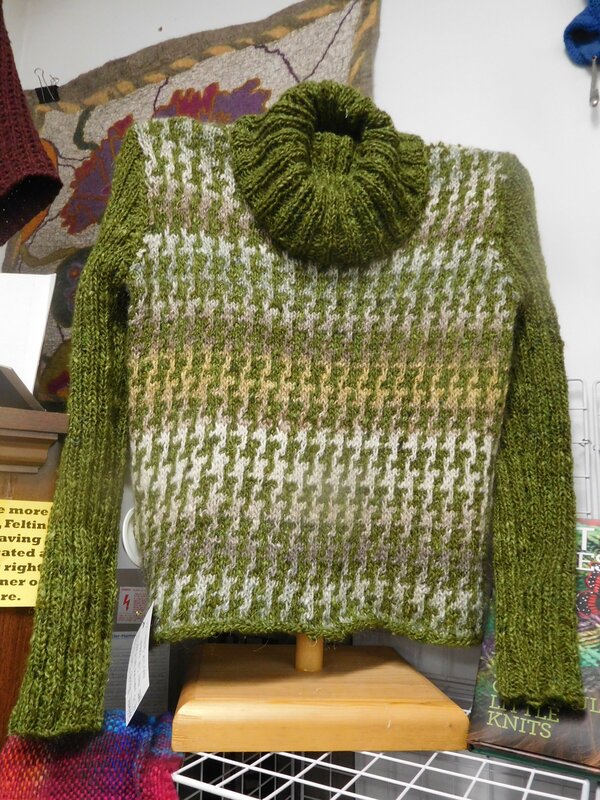 The Herringbone Sweater which my sister knit using a solid and a variegated. 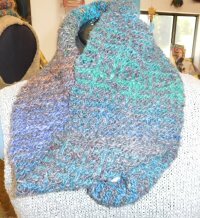 The pattern is from a Noro magazine that the Mosaic Cowls shown below are also in. 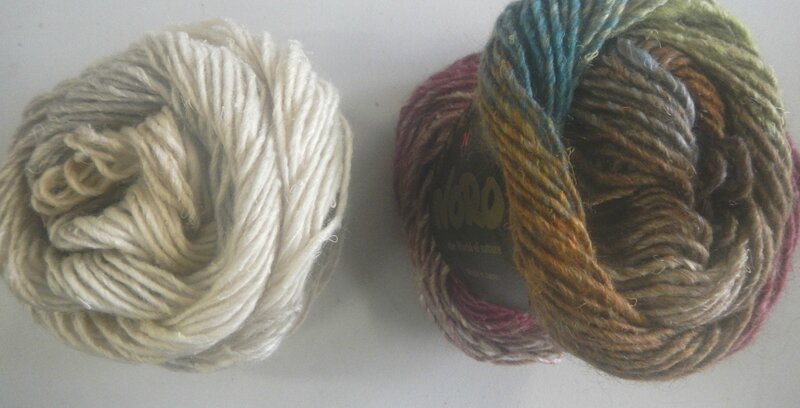 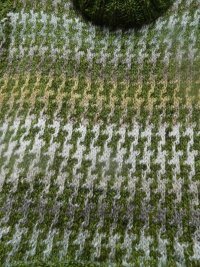 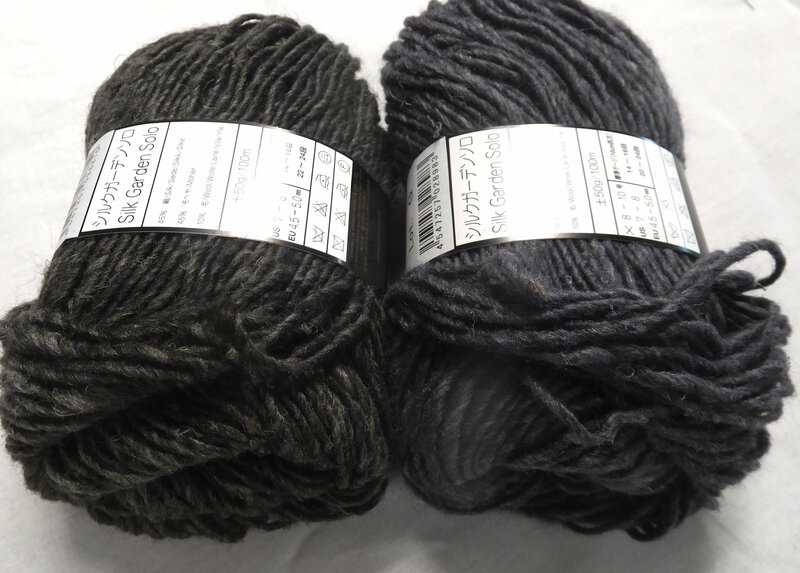 Silk Garden is 45% silk, 45% kid mohair and 10% lamb's wool. 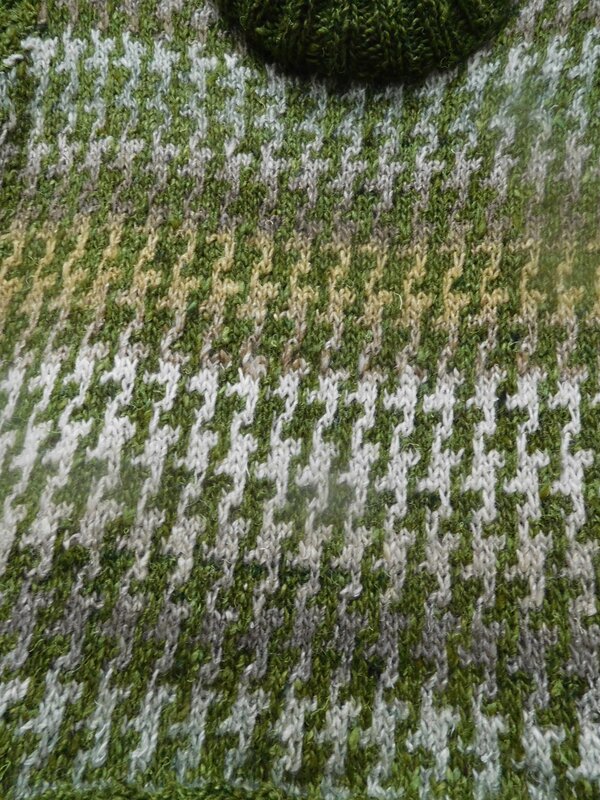 Knits at 4.5 sts/in on US 7-8. 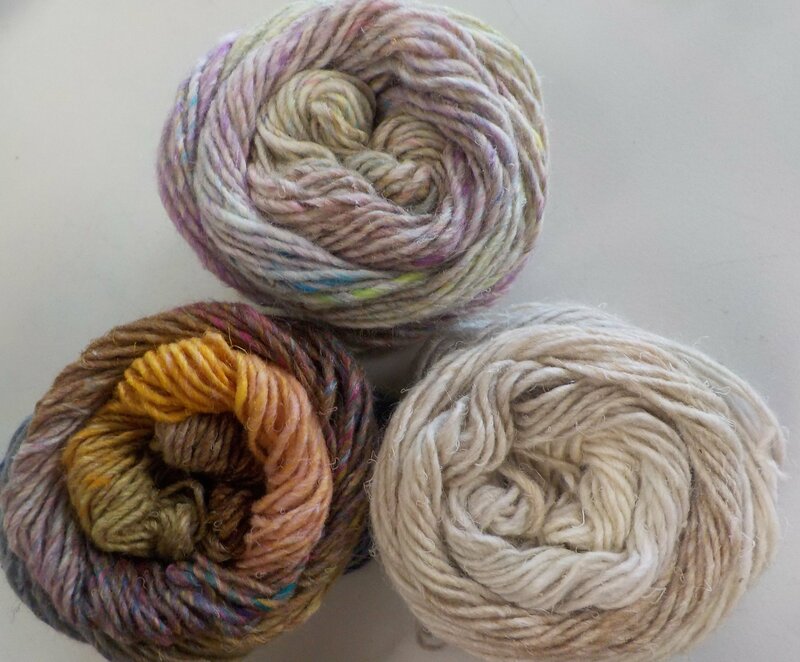 The wristlets shown far right take just 1 skein and the pattern is free with the yarn purchase....think quick knit gift idea! 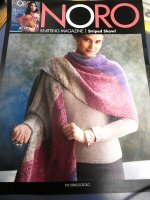 The block color shawl pictured below uses 3 colors of the "solos" and this pattern is free with the yarn purchase. 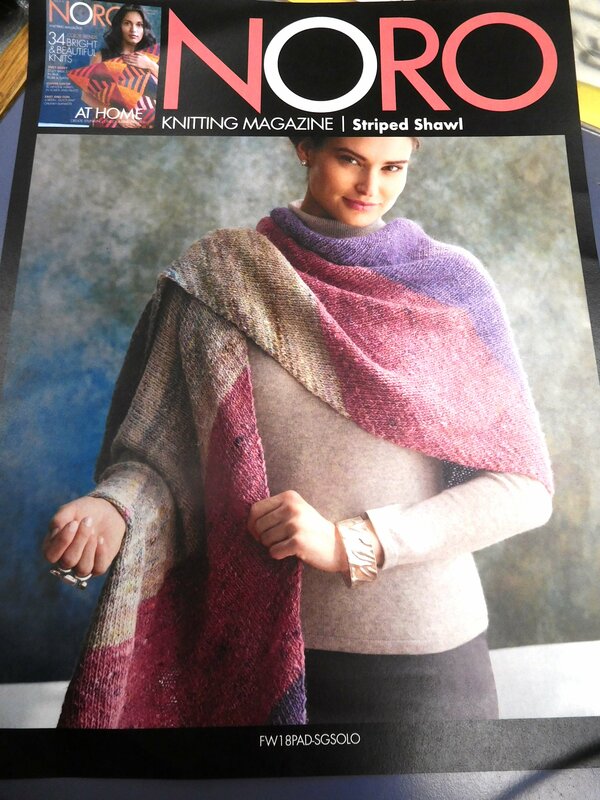 It is knit on the bias and has a wonderful drape. And although I haven' knit up the cardigan shown below yet, it is a classic simple cable and it will look great in one of the "solos" too....I just haven't decided which one yet. 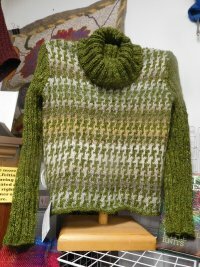 I gave the last "solo" model to my sister Wendy several years ago when it first came out and she still wears it - a lot! 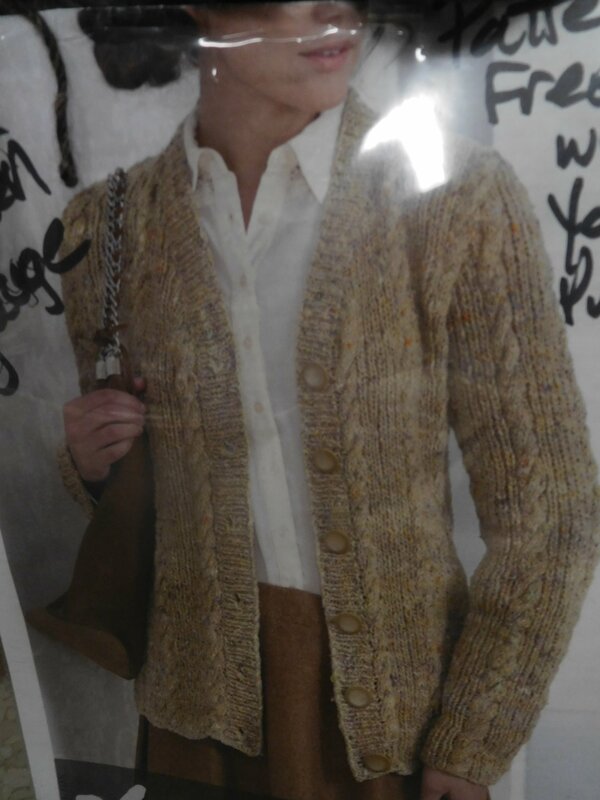 It seems to be her "everyday" sweater to pull on over a pair of jeans. 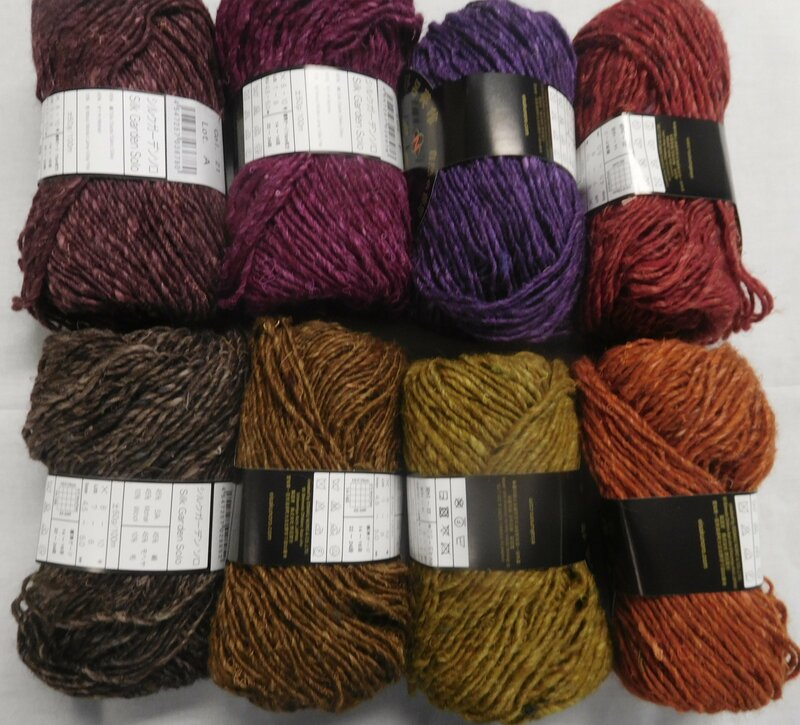 NLA in place of a color number means it is no longer available.